June is almost here, and I am so ready for the summer sun and fun. Who else loves summer? Alright so life can be crazy during summer too, but there is just something about getting out in the sun that is too fun. And here's your chance to really use the sunlight to grab your photos for the monthly challenge... right? So this is the second month of our "gushing" focus, partly because we all know how to gush, and because it was just a hit last month! At the halfway point of the month we had more than 750 posts! That means there are a ton of you all jumping into this challenge, and hopefully making new friends and followers! I know I am! Repeat Day - Gush over books you reread! Happy Birthday Anne Frank - Is there a memoir, biography, or autobiography that moved you? Gush over it! Game Day - What Author (living, or dead) would you like to have coffee, or tea, with? Put your pick in the comments. Remember, no repeats! 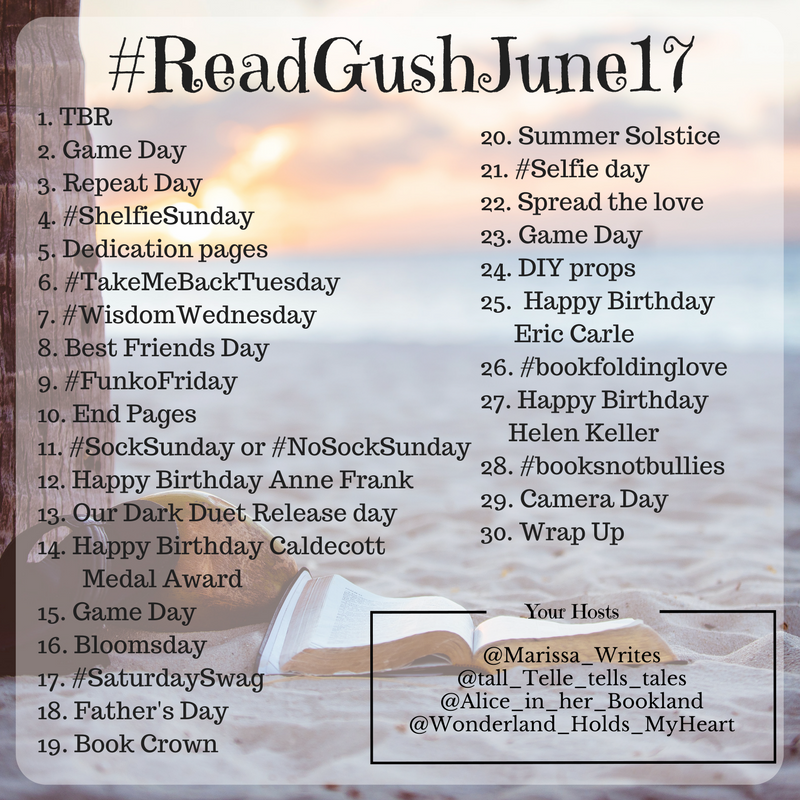 #SaturdaySwag - Gush over some of your favorite bookish swag! Don't forget to tag the store! Book Crown - Share with us some bookish royalty - the king and queen of a genre? A royal fictional family? Skies the limit here people! 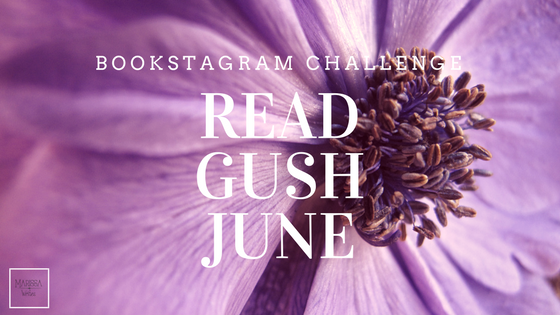 Spread the love - Let's spread some love on Bookstagram by giving some shout outs to others! DIY props - Show off those lovely DIY and homemade props! Happy Birthday Helen Keller - Who has inspired you to over come obstacles? Real or fictional, now's your time to share! Great list! Thank you for swinging by Create and Celebrate.